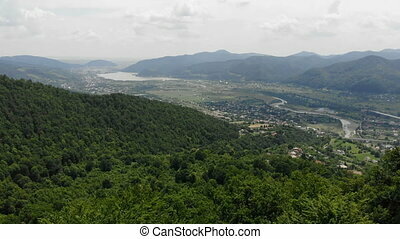 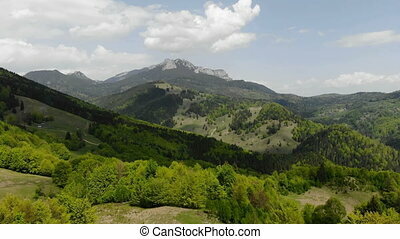 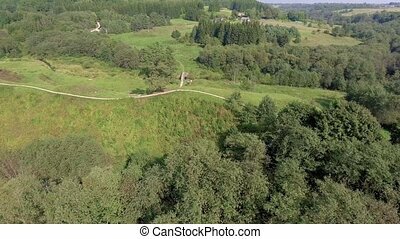 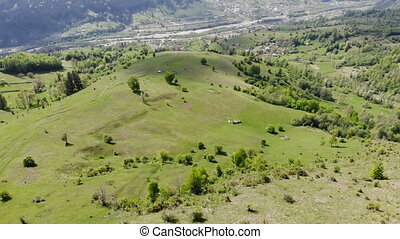 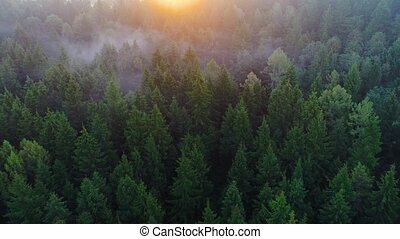 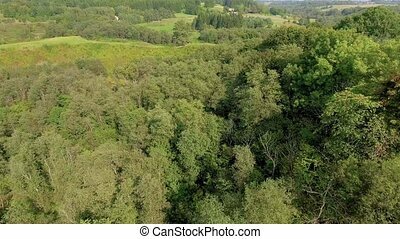 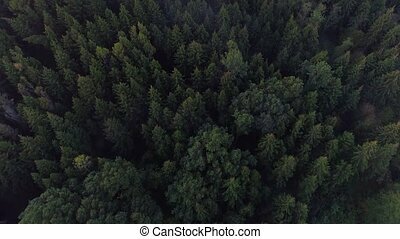 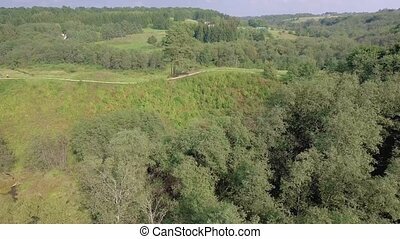 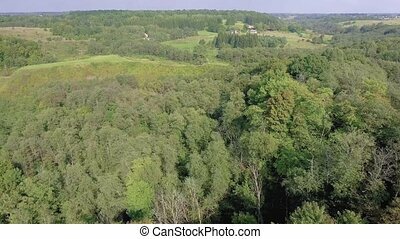 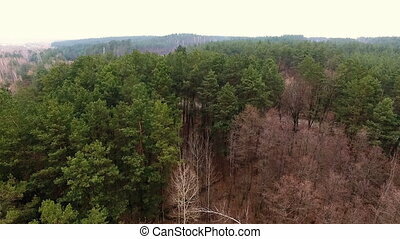 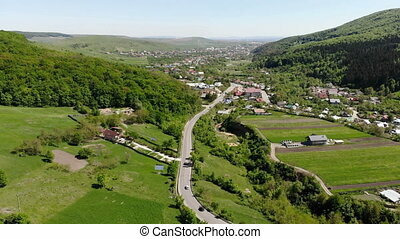 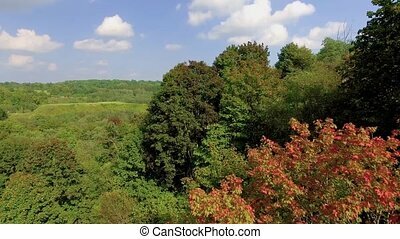 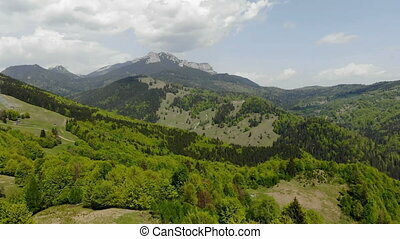 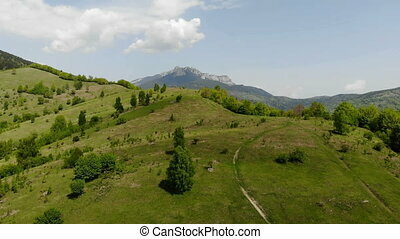 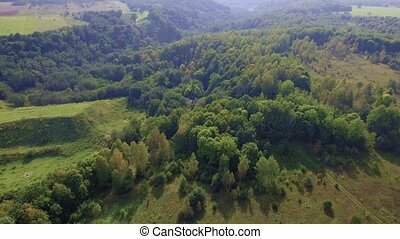 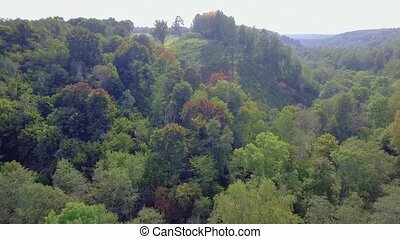 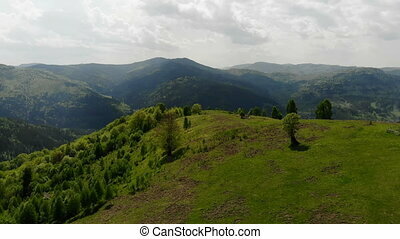 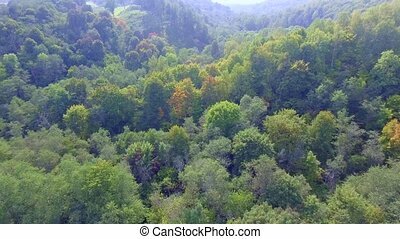 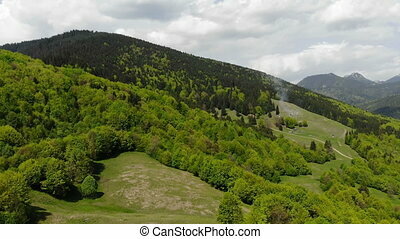 Elevating drone above fresh green forest and valley. 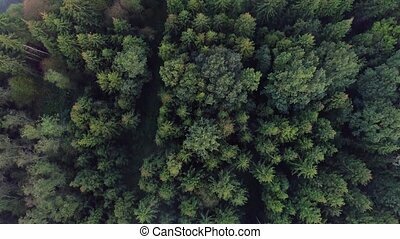 This is a shot of smooth aerial view made with drone. 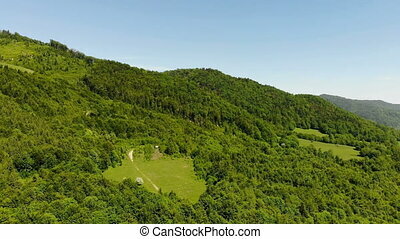 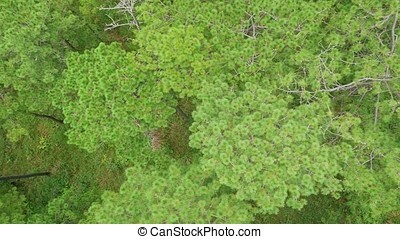 Flying above green forest. 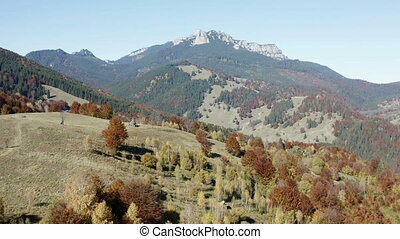 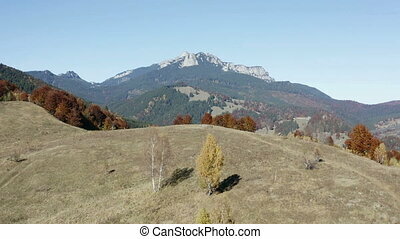 Autumn mountain forest panorama with rocky Ceahlau massif behind. 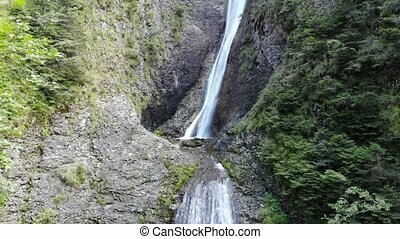 Rock waterfall drone view, Duruitoarea waterfall in Romanian Carpathians. 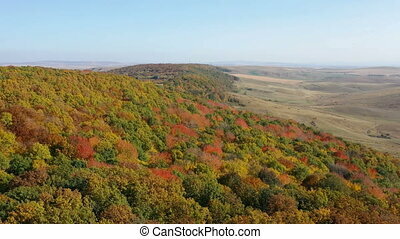 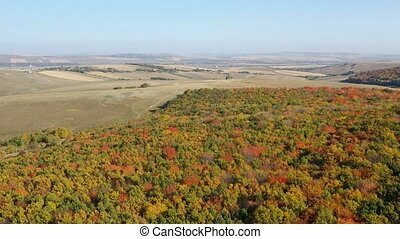 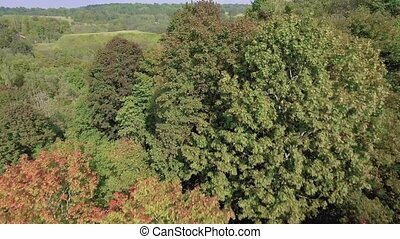 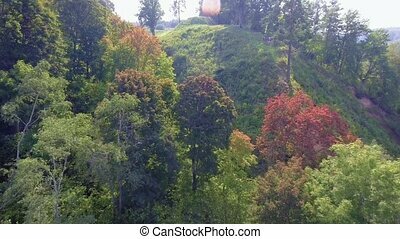 Flying drone over the hill, autumn foliage and pasture.